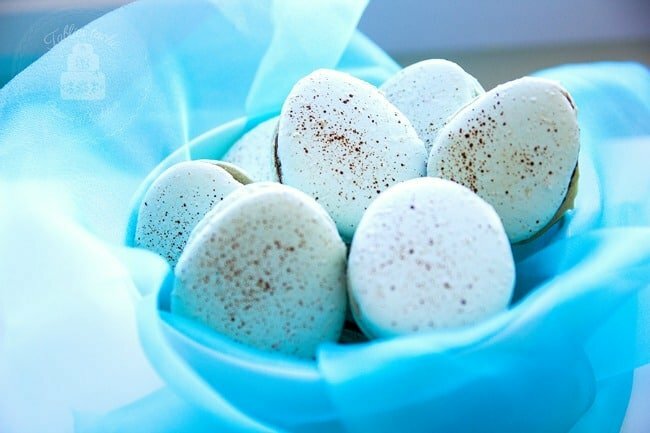 This Robin Egg Macarons tutorial is courtesy of our contributor Ivelina…This year’s early Easter holiday may not surprise us with blooming flowers and singing robins. 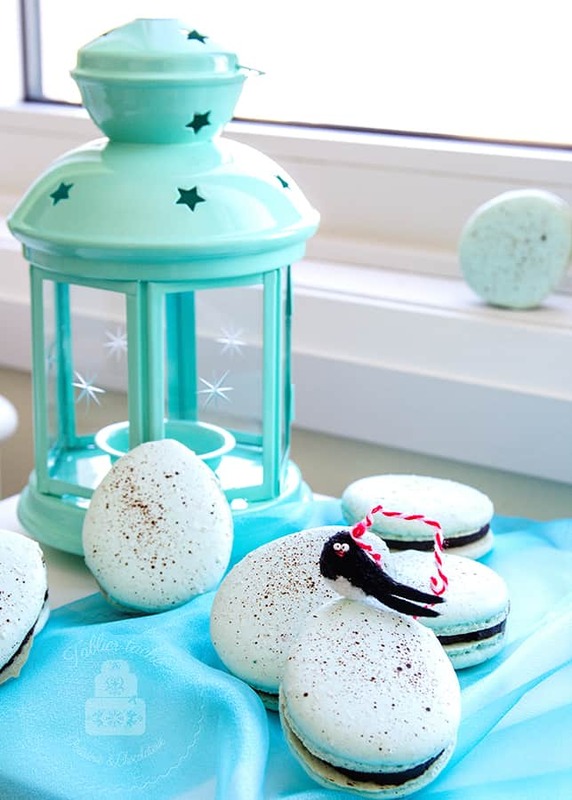 Making these egg-shaped macarons will serve the right quantity of spring at our Easter table. In any case, even with the grumpiest snow storm, spring is just around the corner. You’ll find a picture tutorial under the recipe below. 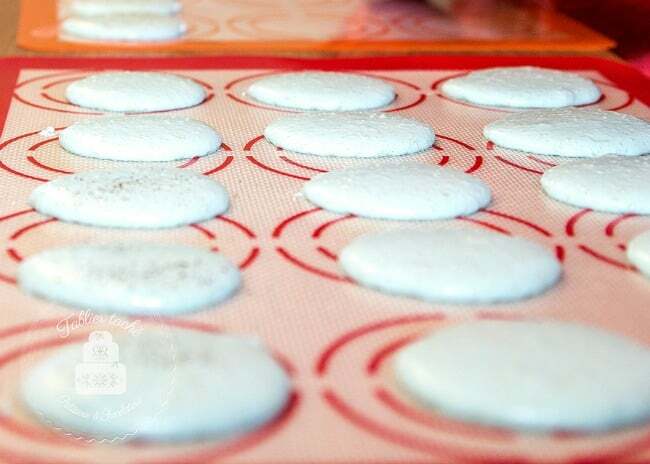 Prepare the baking tins - cover the pans with silicone sheet or a parchment paper. Beat the egg whites until soft peaks are formed. Beat in the sugar, adding in thirds and beating well after each addition. Beat further for about 3-5 min. Fold in the almonds. Add the lemon juice. Add the teal food colouring, just enough to colour the batter lightly, very pale. 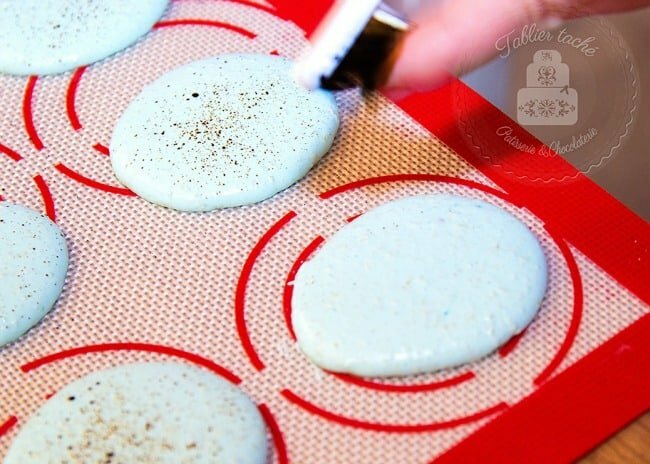 Spoon the batter into a piping bag with a round tip and pipe egg shaped macaron shells. 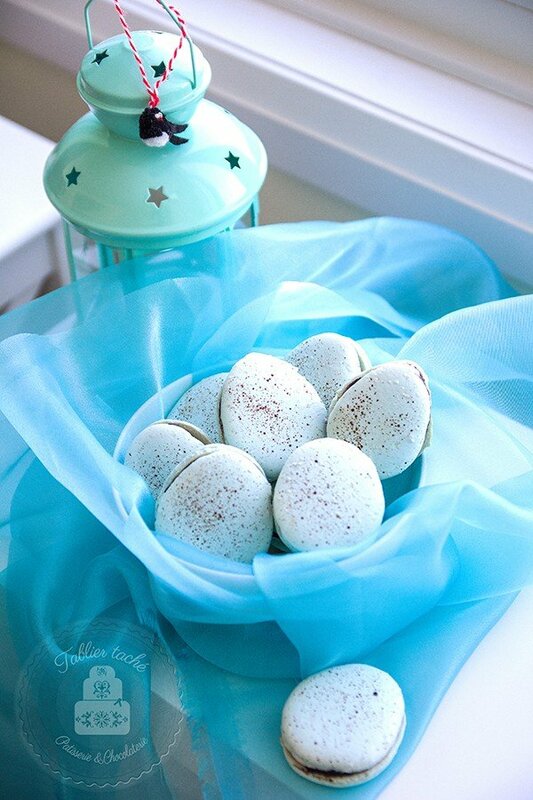 Using a toothbrush, make the spots on the egg shell - dip the tip of the toothbrush in the brown food colouring. 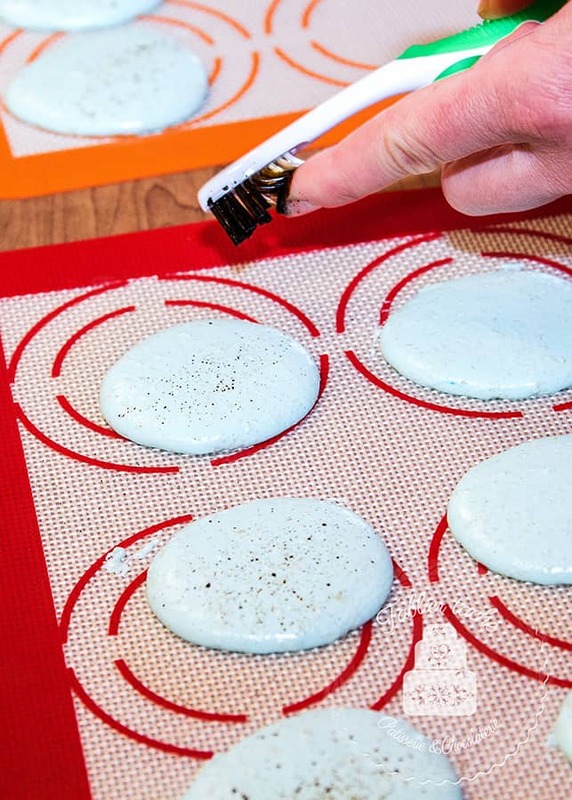 Lightly splatter it over the macarons. This will produce the speckled effect. Bake at 160 C until the shells are well raised and dry on top. Do not let them change their colour. Bring the cream and sugar to boil. Have the chocolate chopped in a bowl. Pour the boiling cream over the chocolate. Let stay for 5 min. Stir the mixture gently until well homogenized and glossy ganache is formed. Incorporate the butter. Cover the dish with cling foil. Leave at room temperature. Use before it hardens completely. Spoon the chocolate ganache into a piping bag with a star tip. Pipe swirls onto the bottom side of half of the macarons. 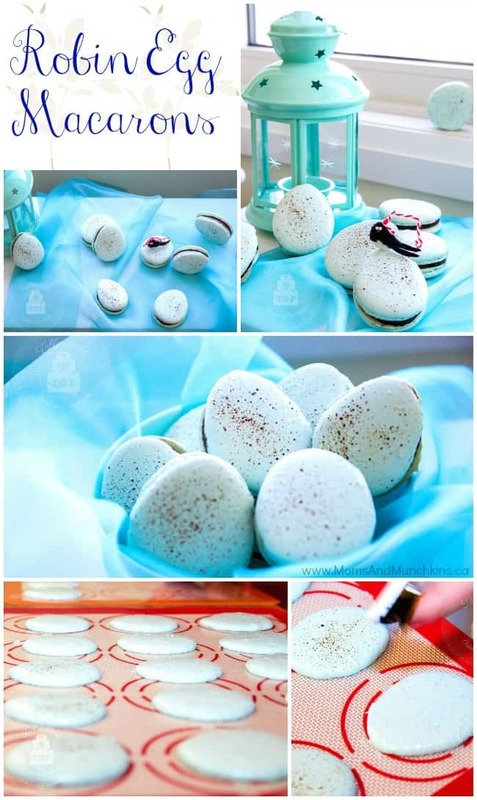 Cover each one of the piped shells with the rest of the plain macaron shells. Press very gently. Serve at room temperature. We’d like to extend a Thank You to our fabulous new contributor Ivelina. 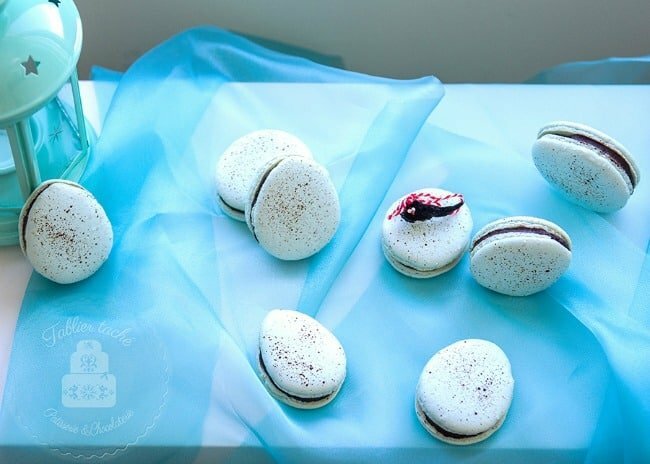 She is an amazing baker and I know you’ll love what you see over on her Tablier Taché blog, her Pinterest boards, her Facebook page and her Google+ account. Oh these are so lovely and the sparkle effect looks doable. Pinned! Thank you for sharing at the Thursday Favorite Things blog hop. I featured you on the facebook and google and pinned too. Hugs!